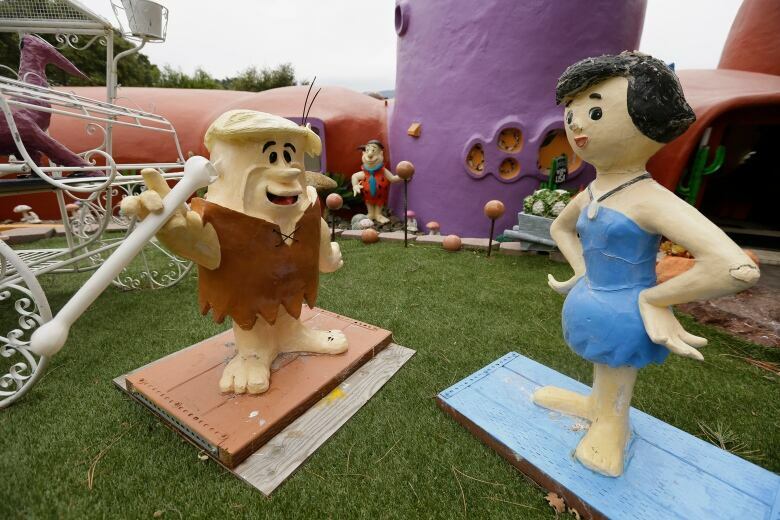 The latest battle in the war between U.S. government rules and property rights is playing out in a posh San Francisco suburb, where a retired publishing mogul has installed an elaborate homage to The Flintstones family. 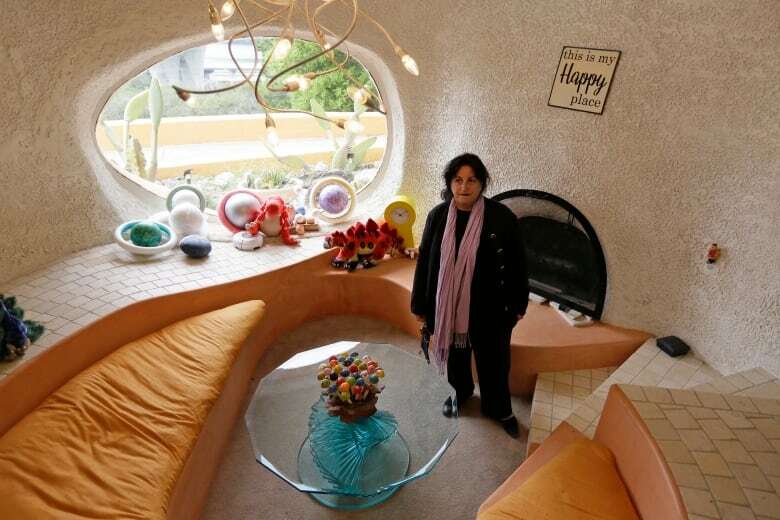 The bold, bulbous house is surrounded by Stone Age sculptures inspired by the 1960s cartoon, along with aliens and other oddities. The 2,730-square-foot house itself is not at stake, but the town of Hillsborough says Florence Fang’s multimillion-dollar property is a public nuisance and an eyesore. The oddly shaped house, currently painted red and purple, was designed by architect William Nicholson and built in 1976. Fang, a prominent philanthropist who once published the San Francisco Examiner, bought the property in June 2017 for $2.8 million US. 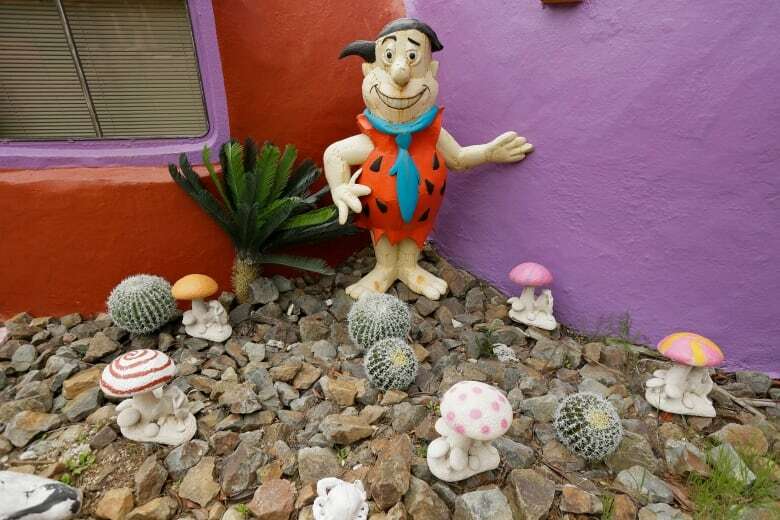 The whimsical front yard has statues of Barney and Betty Rubble, along with Fred and Wilma. 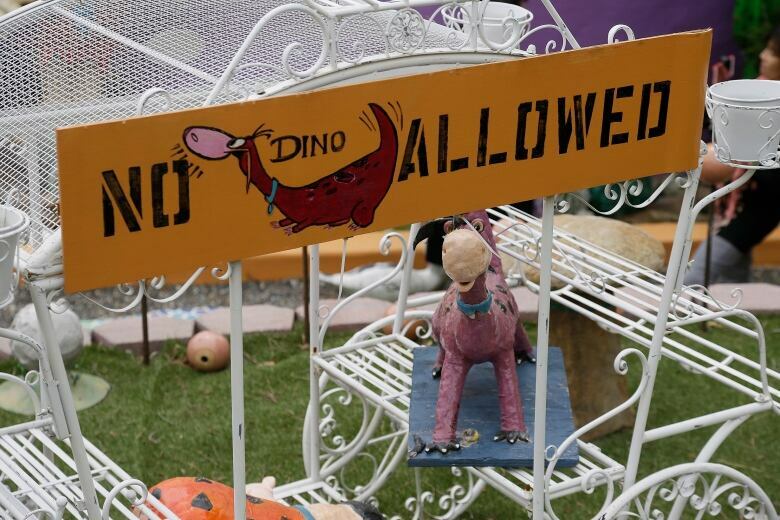 A sign reads “No Dino Allowed” and features a purple cartoon dinosaur. Colourful mushroom sculptures dot the front and back. 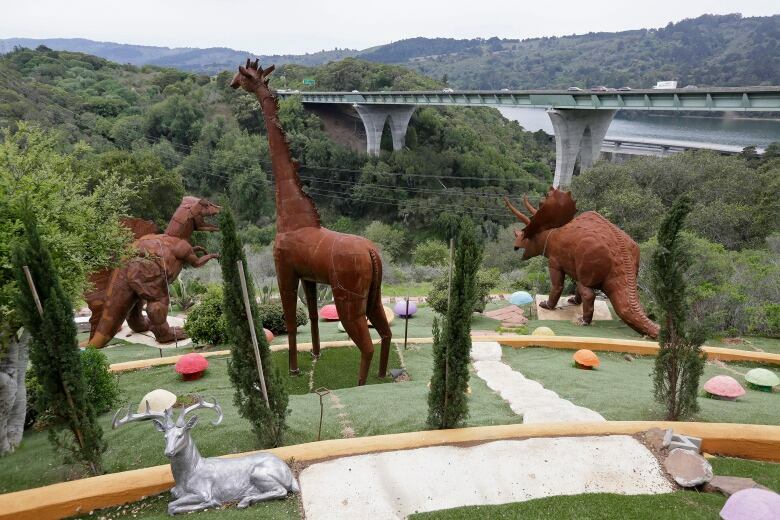 A steep staircase, deemed unsafe by town officials, leads to a garden of giant metal prehistoric animals. But Iglesias says it’s unusual for a homeowner to ignore three work-stop orders issued by the city, as the March 13 complaint states Fang did. 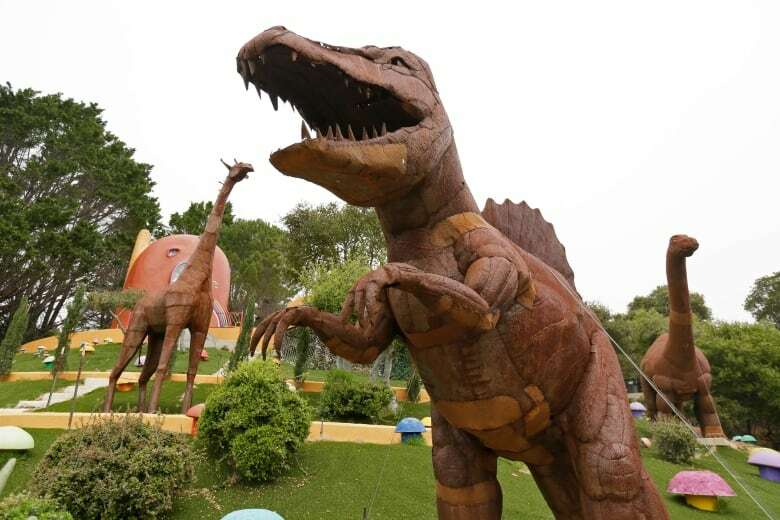 She also ignored an administrative order to remove the installations by Dec. 5, 2018, although she paid a $200 US fine. At a media tour of the property, Alioto said Fang will respond to the lawsuit with a counter-claim, but she declined to discuss specifics. She said Fang’s constitutional rights to free speech and religion were violated. Fang was not made available for an interview.